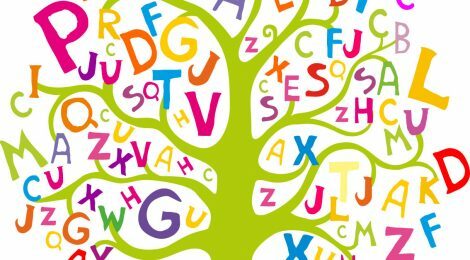 As a linguistic enthusiast, I tend to check out signs when I travel. 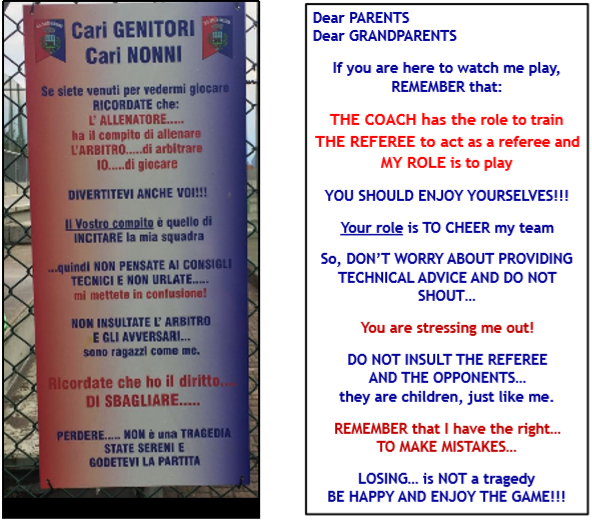 Having visited Italy recently, I found the following one for parents and grandparents who tend to become too agitated during their children’s soccer games. 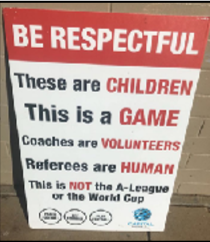 While the core message is the same, the sign below for Canberran families is much more concise.